Energy and transportation firms are immersed in a global shift toward renewable energy, with self-driving cars one outcome of this trend. The challenges of managing uncertainty and investing in renewable energy are amplified in the face of shifting global regulations. Smart growth in this situation demands investment in people and in new technologies. Customized executive education programs for global energy and transportation companies taps into resources such as Wharton’s Initiative for Global Environmental Leadership (IGEL) and the Risk Management and Decision Processes Center to share the latest thinking and research. 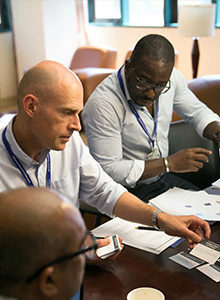 Building on the disciplines of economics, finance, insurance, marketing, psychology, and decision sciences, the distinguished faculty at Wharton brings years of knowledge and understanding of the unique challenges of large, complex, multinational energy and transportation firms, and the strategic thinking needed to manage uncertainty. Our collaborative approach will drive results because of our dedication to your individual business objectives and in-depth understanding of the markets you serve. The challenges facing energy and transportation firms are unique — your solutions should be, too. 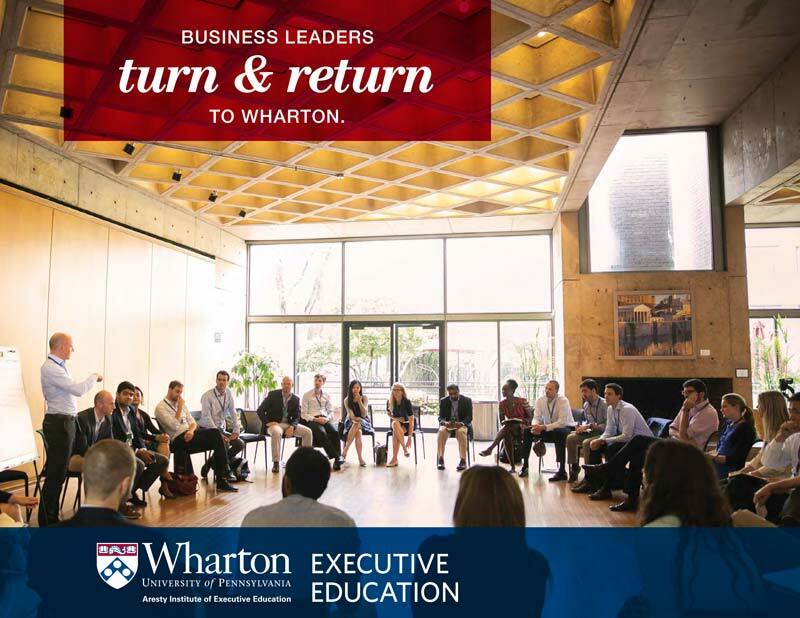 Wharton works with you to customize your executive learning engagement, resulting in senior leadership teams better equipped to respond and react to emerging opportunities. BP’s activities are focused on finding, developing, and producing essential sources of energy, and turning these sources into products that people need. The company provides its customers with fuel for transportation, energy for heat and light, lubricants to keep engines moving, and the petrochemical products used to make everyday items, such as plastic bottles. As a global group, BP’s interests and activities are held or operated through subsidiaries, branches, joint ventures, or associates established in — and subject to the laws and regulations of — many different jurisdictions. This means that the design of any companywide management program is necessarily complex. Seeking a talent-development partner with experience in creating complex educational solutions, BP called on Wharton Executive Education to design a multimodular custom program for BP’s 200 top financial leaders. The program was a long-term investment in commercial excellence, with a short-term strategic goal of helping BP’s top financial talent become conversant in leadership and business topics beyond finance. The program included classroom lectures, action learning projects, virtual report-outs, and personal coaching by Wharton faculty; the material centered on customer centricity, influence and persuasion, finance/value creation, and strategic decision making. Participants were grouped into teams, with each team focused on a real-world business challenge or a new energy opportunity. At the end, participants were prepared to foster, incubate, and manage innovative ideas; lead a team through the venture-creation process; and create new, sustainable value for the company. Penske Truck Leasing is a global player in commercial truck leasing and logistics. The company operates about 200,000 vehicles from about 1,000 locations in the Americas, Europe, and Asia. The company offers full-service leasing, contract maintenance, and commercial and consumer truck rental. Penske Logistics provides global transportation management, distribution and warehouse management, and integrated fleet logistics. As a successful organization focused around operational excellence, Penske approached Wharton Executive Education to design a program that would foster innovation among senior leaders and thus drive growth. Wharton created two programs designed to help executives manage change and master an entrepreneurial attitude toward innovation. Senior leaders, including the CEO and president, attended a series of one-day, issue-driven master classes, while VPs and high-potential talents participated in a residential module with an action learning component. Each program focused on the overall goals of accelerating Penske’s organic growth and strengthening strategic thinking. Content for the program was built around business-driven leadership, meaning that Wharton faculty made “driving growth” the umbrella issue in each program. The design incorporated a strategic component in which teams evaluated growth initiatives and new-business options focusing on two to three years out. Each team learned a set of tools designed to help extend market insight and increase understanding of Penske’s customers and end users. Clear sponsorship of executive development by the CEO and top team ensured the program’s success, as did including senior executives in a leaders-teaching-leaders role.